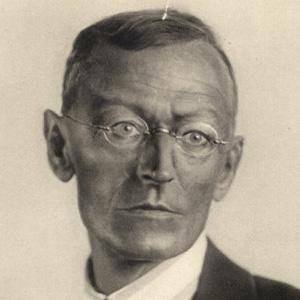 German, Nobel Prize-winning author of Siddhartha, Steppenwolf, and The Glass Bead Game. He was a 1946 recipient of the prestigious Goethe Prize. His grandfather encouraged him to study literature. He published his debut poem, "Madonna," in 1896. The Glass Bead Game imagined a calm and well-ordered world. This vision resonated with Germans of the post-World War II era. His parents, Marie Gundert and Johannes Hesse, served as Protestant missionaries in India. He and Thomas Mann were friends.